Born in Britain, Susan F. Fremit emigrated to Canada when she was a young child. As a teenager, she completed her secondary school education while traveling between England, Portugal and Spain. Through being very involved with every community she lived, Susan encountered diverse European and Canadian cultures, which lead to her passion for justice and an interest in law. In 1991, the Law Firm of Susan F. Fremit was established to represent clients charged with criminal defense, DUI and serious traffic offenses in Windsor and Essex County, in Ontario, Canada. 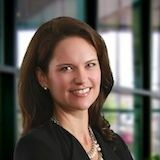 Over the course of a decade, Susan represented over 1,000 clients in a variety of criminal, DUI, and traffic charges. 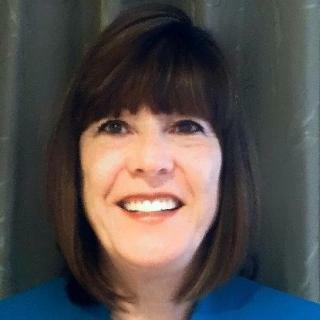 With a large majority of cases going to trial, Susan obtained significant experience in winning cases through trial preparation and research, developing arguments, acquiring expert witnesses, and discrediting Crown arguments as well as police and witness testimony. 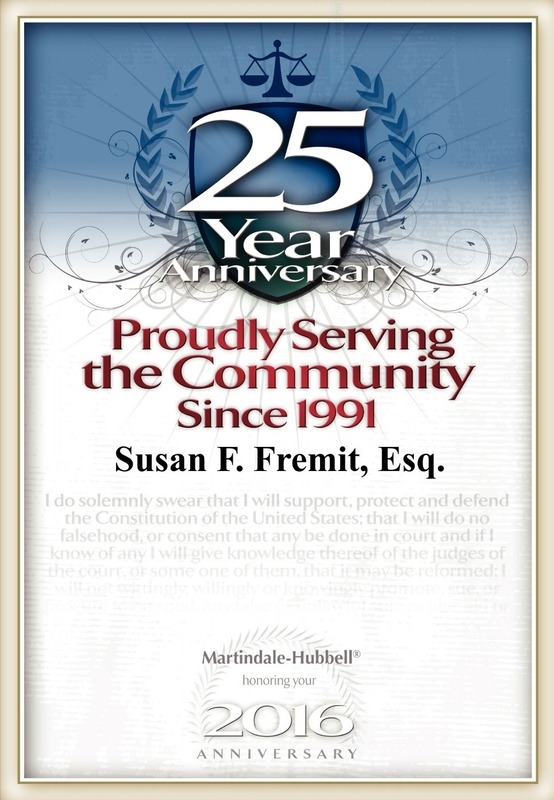 In 2008, the Law Firm of Susan F. Fremit, P.C. 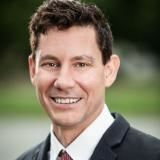 was established in Arlington, Virginia to provide a decade of Canadian legal expertise and trial experience to clients charged with criminal, DUI and traffic offenses in Alexandria, Arlington, Fairfax, and Falls Church, Virginia. The following year, Susan received her admittance to the United States District Court Eastern District of Virginia (4th Circuit Court). 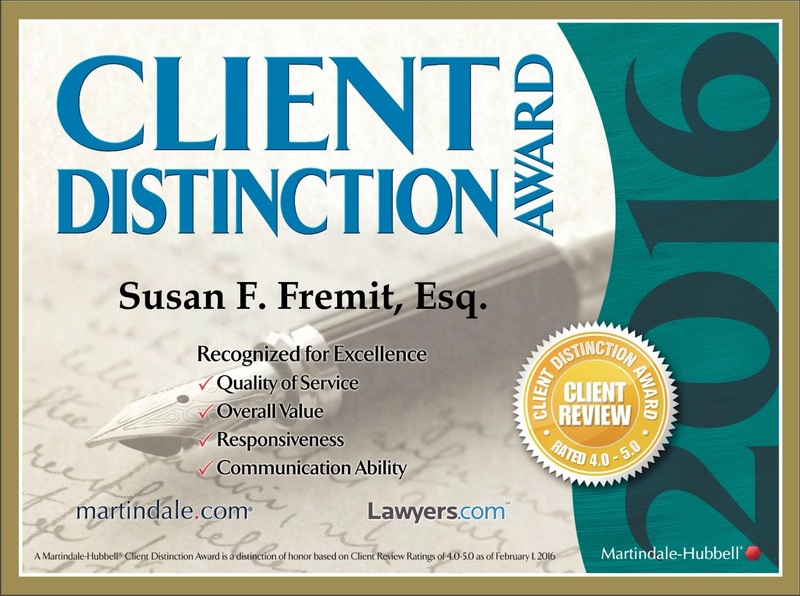 In 2012, the Law Firm of Susan F. Fremit, P.C. 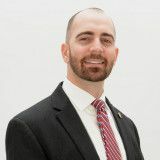 opened another office to offer the combination of experience, aggressive representation and a proven track record across a broad range of criminal, DUI and traffic offenses to clients charged in Culpeper, Fredericksburg, Louisa, Spotsylvania, and Stafford, Virginia. In 2016, the Law Firm of Susan F. Fremit opened a third location in Bowling Green to represent those charged with crimes in and around Caroline County. Q. 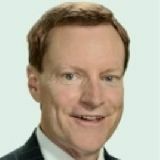 Will a notification of trespass affect my pretrial diversion program set for dismissal for first time misdemeanor? A: It doesn't appear that you have violated any laws, so the notification should not affect the dismissal of your shoplifting charge, if you have completed all the other requirements. A: You need to contact a local experienced criminal defense attorney, (look at your "ticket" to see which county court you need to go to), in order to avoid a conviction, which in Virginia, is for life; no expungement. Click on "find a lawyer" on this website. Most give a free consultation. Q. I plead guilty to DUI on 04/12/18 & was granted a restricted license for one year on that date. A: You will need to pay the pay the reinstatement fee & have had 6 months incident-free on an interlock device before VA DMV will reinstate your full driving privileges. You can go to a DMV office on 4/11 but if they won't agree with you, you will be back on 04/12. Do you really want to spend that much time at a DMV office? Q. Friend on unsupervised probation, received a reckless on 80mph. Jail time or no? A: Your friend's lawyer will have important details which you don't to determine whether she will face any back up time. A: Under federal law, sentencing guidelines are mandatory; under VA law, sentencing guidelines are discretionary, which means the Judge can sentence above or below those recommended guidelines. However, in most situations, the Judges will sentence within the top and bottom of the guidelines. In VA, the guidelines take into account the defendant's prior convictions (if any) anywhere in the USA as well as any juvenile record, especially if that record contains a break and entry conviction. Also taken into account is whether the defendant was under any restrictive condition (probation, suspended driver's license, etc). Thus sentencing guidelines are very defendant-specific. Q. My child father attacked me in front of our child. His 2nd domestic violence charge. Will he get custody/visitation? A: I have moved your question to family law because that is the area of law you have a question about. Domestic violence and criminal law is for those charged with offenses in those areas and requiring answers related to such. Q. Does a search warrant hav 2 specifically name a room n the house. 4 example home owner rents rooms 2 different people. A: A search warrant does not need to specifically describe a room in a house; simply the name of the suspected person, the suspected evidence expected to be found, the location including address and the basis for the warrant. Assuming the renters have a lock on each of the rooms he/she is renting and keep the room locked when the renter is absent, that should be a defense for an unlawful search if contraband is found. Q. How long are circuit court case proceedings and final case dispositions kept in va? A: Contact the county clerk’s office with your questions. Too frequently, files apoear to get purged after 10 years or so. But a background check will still show the arrest. Q. So if the files are purged every ten years and the arrest still shows up shouldn't there also be records of case disp? A: Actually, the record check should indicate the case disposition. Why not do a background record check on yourself so that you can see what your potential employers are seeing? Any state police department should be able to do that for you. I am not sure what the cost would be but I am sure it is not a large amount.